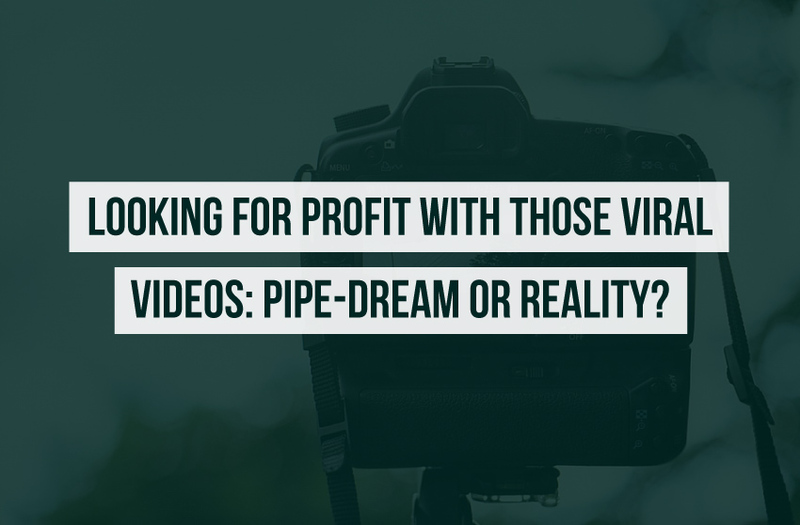 Looking for Profit With Those Viral Videos: Pipe-dream or Reality? If you use Facebook, you have likely seen a viral video in your news feed at some point. Even if you are not looking for them, they seem to pop up in your view. And, the more viral they are, the more they grab your attention. After all, that is why they became viral in the first place… their ability to grab attention and inspire others to share them (again and again). Viral videos can be, and often times are, shared millions of times around the globe. That sounds appealing, doesn’t it? I mean, think about it… What if your ad or a link to your site could get the same exposure? What would that do for your branding? Can you picture it? It is possible, but it is not like there is an “easy button” that will do it for you. Instead, it takes a bit of planning and planning that is done right. While it’s impossible to tell with complete certainty if a particular video will go viral, steps can be taken to make a fairly accurate prediction. The strategy involves finding unbranded videos that have gone viral in the past and uploading them with your link or call to action in the video description. First, let’s think of an analogy. Can all stock brokers predict the next stock that is going to make their clients billions? Some can (or could). That is what generated some money for their clients and for themselves. However, it isn’t fool proof. It isn’t a case where there are absolutes. If there were absolutes, you wouldn’t have any losses on Wall Street and we would have other problems, as a result. In the same way, we cannot predict that your “viral video” will be a success, but we can implement successful strategies that have worked in the past, in the same way that stock brokers can implement successful strategies, mixed with that bit of risk. The first step is finding the right video for your niche. You can go to YouTube and look at the trending videos to get some ideas, or you can do a search for related videos. For example, if you wanted to find viral videos related to cats, you would search “viral cat videos.” You want to find a video that has already gone viral because it is likely to go viral again. Videos that have the potential to go viral are usually shocking or emotionally touching. It’s vital to ensure the video you use is related to your niche; otherwise, you will receive worthless traffic. It’s important to note that you should not use branded videos because doing so can put you at risk for a copyright violation. So, do not use videos with banners or videos that odiously belong to an organization. If you are focusing on a cat video and happen to have a cat, this is your opportunity to replicate the viral video with your own cat. That way, it is your video and you have not violated any copyrights. Another option is to visit places that have royalty free video (be sure to read the legal print) and purchase a video that is similar to the one that you saw that went viral. Two options for videos: 123rf.com and bigstockphoto.com. Once you have figured out what you are going to use for your viral video (having done your research at youtube.com), you want to get it ready for Facebook (as an example). You will want to edit the video down to less than 45 seconds long. Next, find the part of the video right before the action starts, and set it as the thumbnail. After your video has been uploaded, choose your audience and start advertising it. Fortunately, Facebook Advertising offers a wonderful tool for targeting your audience.